Choosing curriculum can be overwhelming. Enter "homeschool curriculum" into a search engine and you'll find pages and pages of listings. How do you decide what to choose? Sometimes, the price tag decides for you, but when you find something that is within your budget, how do you know you're spending your money wisely? When we first started homeschooling Jude, I had no idea where to begin, beyond typing into a search engine, and asking others turned into dueling opinions. Here's my first tip: DON'T BUY ANYTHING AT FIRST! I mean it. Give yourself time to figure things out. If you need to purchase something, then get a crayons for coloring, or a picnic cooler to take when you go exploring on field trips. Otherwise, call it a school vacation and learn without anything formal. Learning doesn't have to come from a book all the time. Today I'm posting over at Tales of A Pee Dee Mama about how we learned to wade through the selection process. 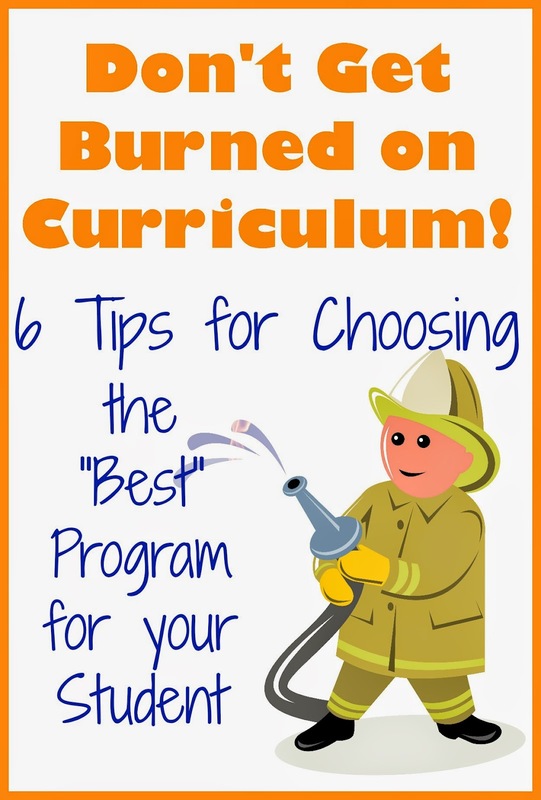 Come join me there and find five more tips for choosing a homeschool curriculum that is right for your student!